Elyse Kopecky is a chef, speaker, nutrition coach, and New York Times Bestselling Author. Her first cookbook, Run Fast Eat Slow: Nourishing Recipes for Athletes, co-authored alongside 4-time Olympian Shalane Flanagan, climbed its way onto both the Publishers Weekly and the New York Times Bestseller list. Run Fast Eat Slow features Elyse's "Indulgent Nourishment" food philosophy for long-term health and happiness. Elyse's recipes and writing have been printed in Runner's World, Women's Running, and 1859 Magazine. Her cookbook has been featured in TIME, the New York Times, the Boston Globe, Outside, Runner's World, Eating Well, Women's Running, Real Simple, Food and Wine, the kitchn, ESPN W, Portland Monthly, Tasting Table, Charlotte Observer and the Bulletin. 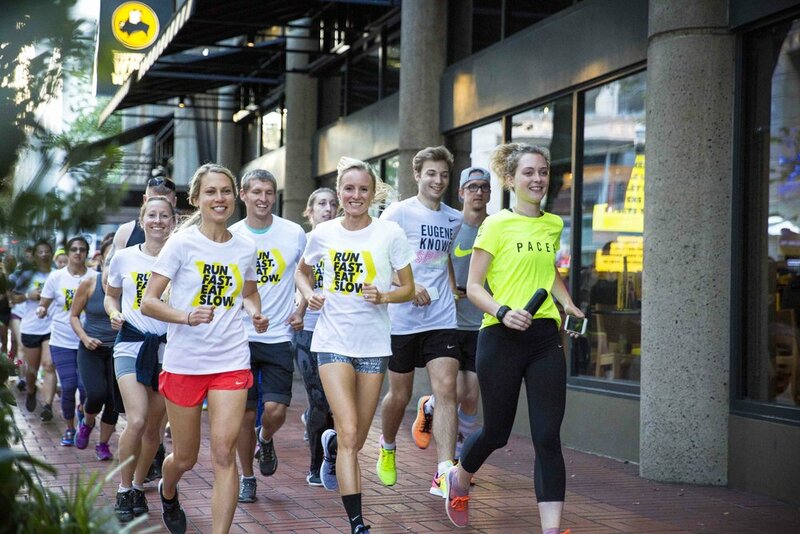 Elyse has been interviewed alongside co-author Shalane Flanagan on Good Morning America, Good Day Chicago, KGW Portland, KPTV, KATU 2 AM Northwest, the Rich Roll podcast, Marathon Training Academy, and Another Mother Runner. Elyse ran cross-country and track at UNC Chapel Hill, and after graduation moved west to Portland, OR, to work for Nike Running. Elyse’s career eventually took her abroad, during which time she took cooking classes throughout Europe, Africa, and Asia. Armed with amazing recipes from around the world, she began cooking from scratch to fuel her athletic endeavors. She discovered that by incorporating more fats into her diet she was stronger, healthier, and happier than ever before. Elyse quit a successful marketing career of 10 years for the chance to help others eat right and moved to New York City to study nutrition at the Natural Gourmet Institute, the nation’s top health-supportive culinary school. Elyse can be found in her kitchen and on the trails in Bend, Oregon. Contact Elyse directly via this form or elyse (at) runfasteatslow.com. Photography courtesy of Alan Weiner.